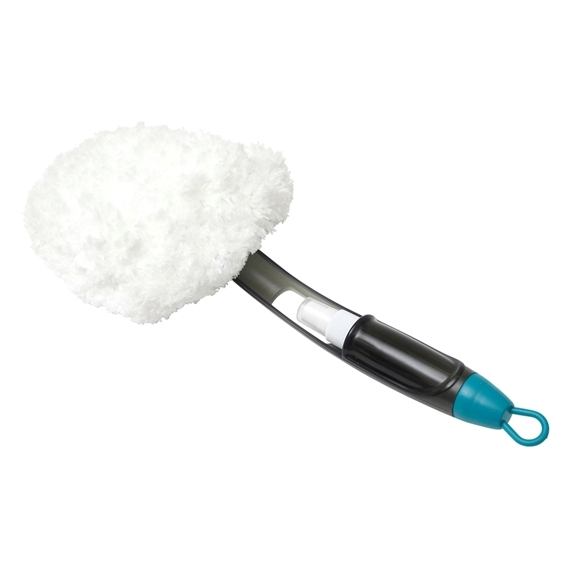 2-in-1 window cleaner perfect for windows around the home or the car. Simply spray your windows, clean using the microfibre cloth and dry with the squeegee. The microfibre cloth is removable and machine washable at 30°C. Can also double up and be used to clean tiles, mirrors or shower screens. Holds up to 20ml approx. Size: H:41 x W:17cm approx.